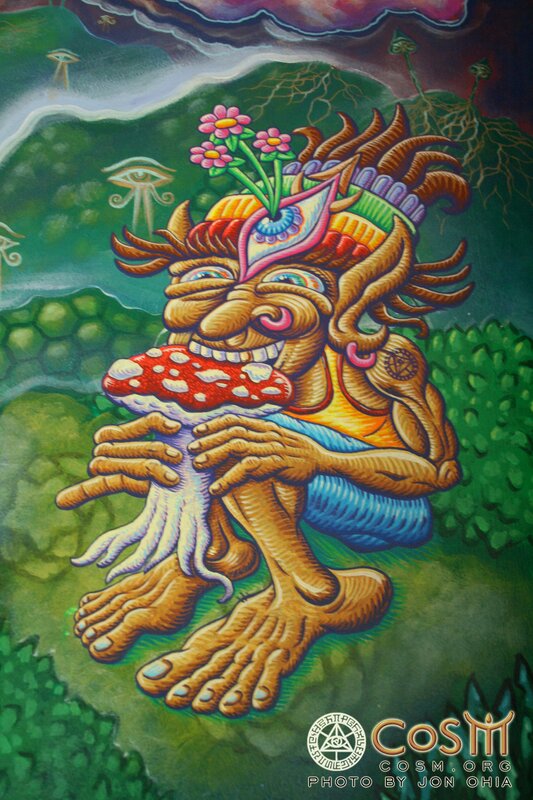 Visionary artist, Chris Dyer, channeled and manifested a colorful citizen of the mushroom realms and brought him from another dimension to dwell in the Mushroom Cafe as part of the ongoing mural collaboration. 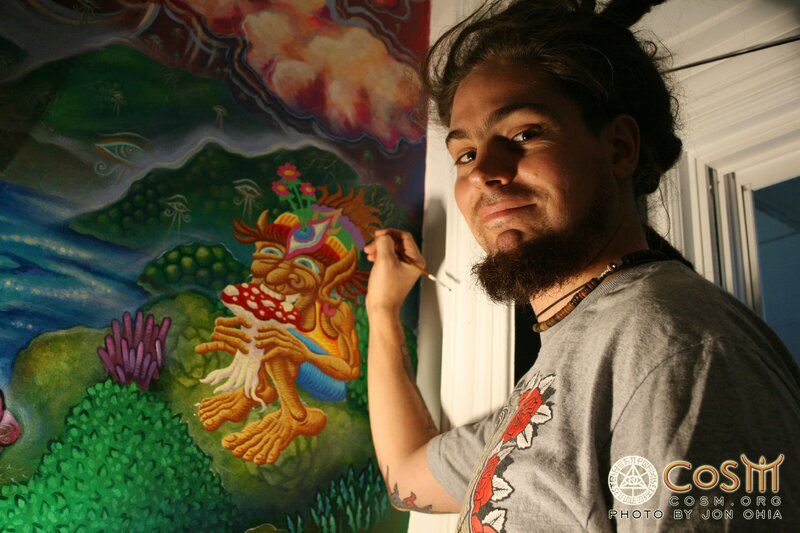 Chris also hosted a Visionary Salon workshop, "Visionary Graffiti," combining a live interactive demonstration with an entertaining discussion of the history of graffiti, street art and his role in the world-wide visionary art movement. 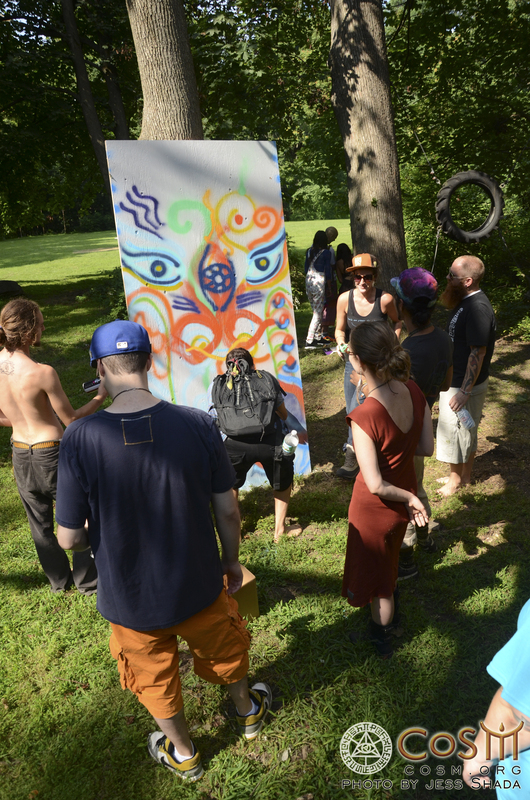 Over the course of an afternoon, as Chris painted and spoke to the group, a large wooden wall on the Wisdom Trail was transformed into an original Chris Dyer Spirit of the Woods. 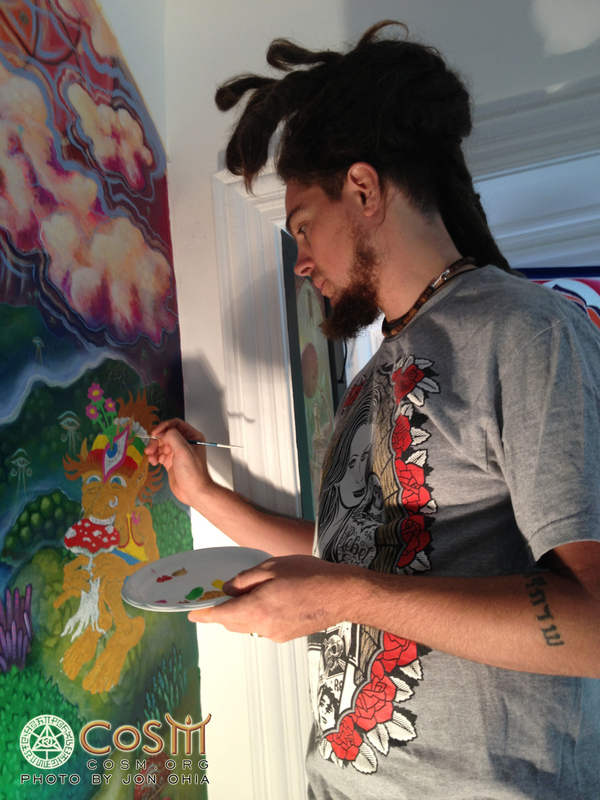 See the mycelially growing Mushroom Cafe mural and Wisdom Trail at CoSM during open hours and at events. 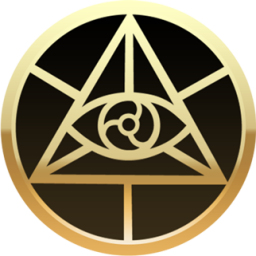 See more of Chris' work at http://www.positivecreations.ca/. 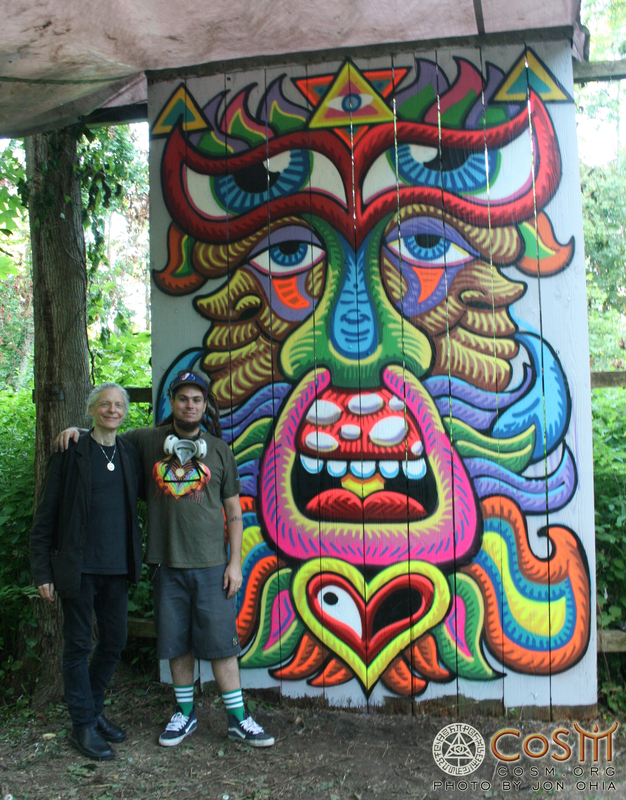 Alex Grey and Chris Dyer in front of CoSM's new outdoor mural. Participants at Chris' Visionary Graffiti workshop. 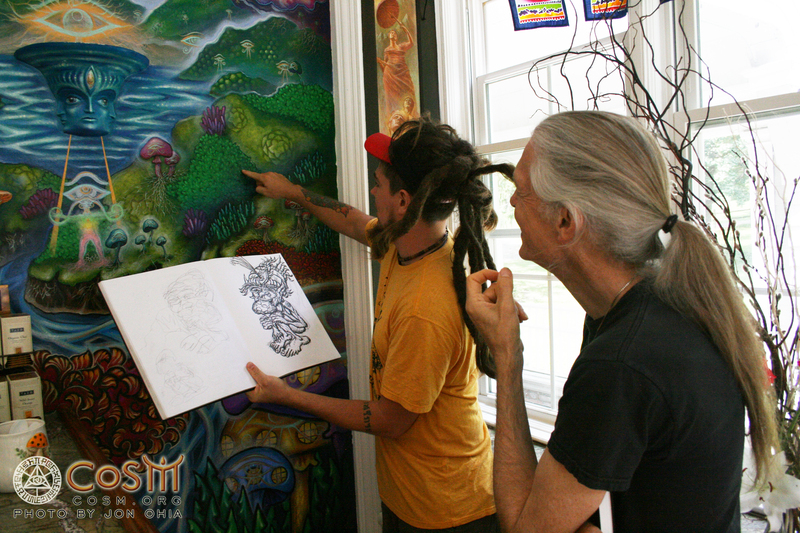 Alex and Chris planning the mural. 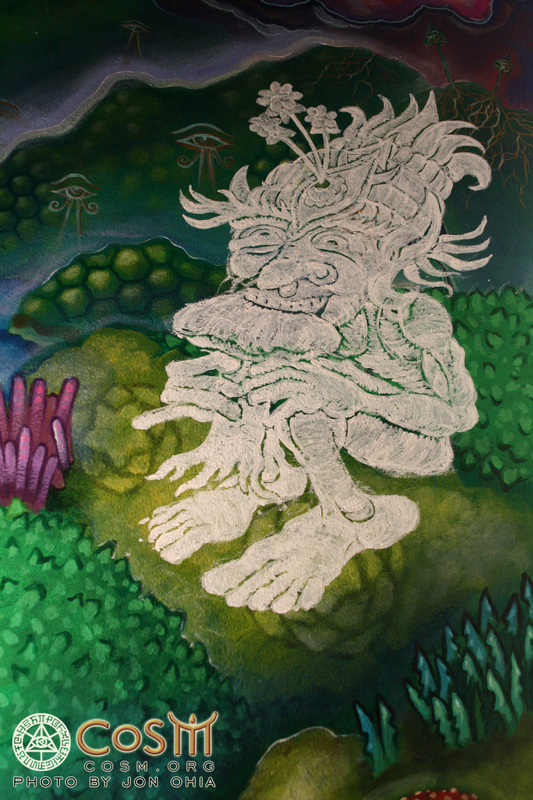 The troll's ghost white under-painting.